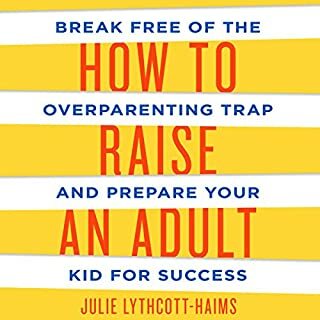 There's a new set of 3Rs for our kids - respect, responsibility, and resilience - to better prepare them for life in the real world. Once developed, these skills let kids take charge, and let parents step back, to the benefit of all. 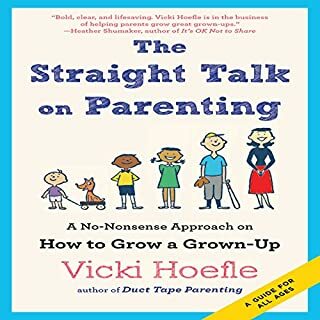 Casting hover mothers and helicopter parents aside, Vicki Hoefle encourages a different, counterintuitive, yet much more effective, approach to parenting: for parents to sit on their hands, stay on the sidelines - even if duct tape is required! 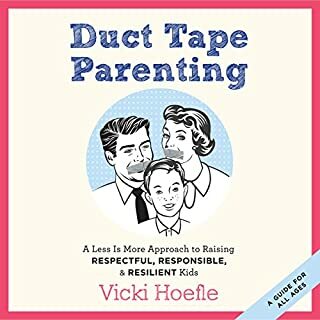 Witty and straight-shooting, Duct Tape Parenting entertains as it informs parents how to do less in order to raise more confident, capable children. Parents these days are under a great deal of pressure to be "perfect". 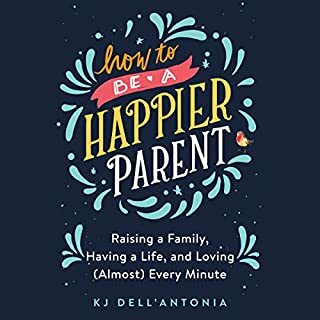 From psychologists to social scientists, journalists to weekend bloggers, everyone has an opinion about the do's and don'ts for raising healthy, well-adjusted - and let's not forget polite - children in today's fast-paced world. 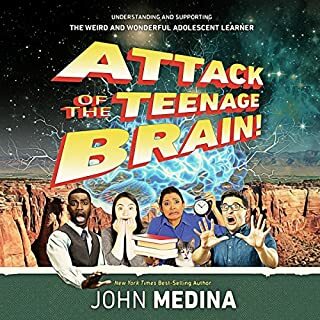 Where does this leave parents? Too often lacking in confidence, ill equipped, and overwhelmed. 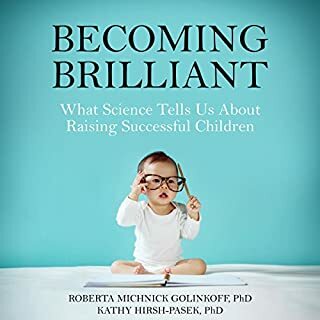 Parenting expert Vicki Hoefle makes the bold claim that it's time for parents to get off the perfection path and get back to the real job of parenting: to grow a grown-up. 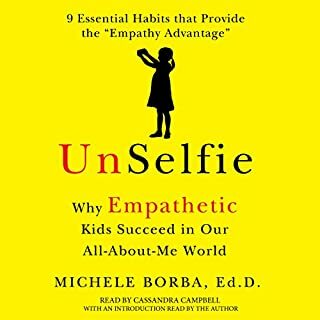 Written by: Michele Borba Dr.
Now Say This guides parents through a highly practical three-step approach to effectively communicating with children called ALP. It also discusses the power of words in all of our daily conversations. 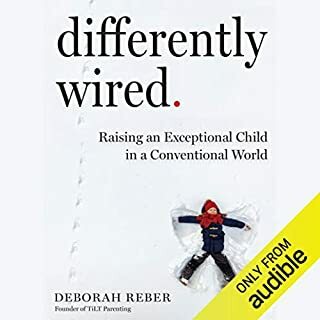 Each chapter addresses a different aspect of parenting and includes actual scripts and precise language for parents to use to set limits with empathy and to use conversations as opportunities for learning. 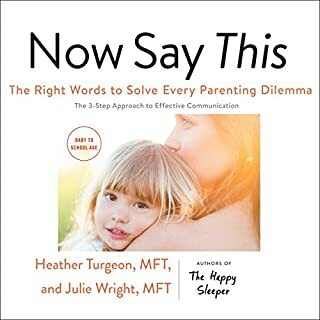 Language is powerful, and the exact words, tone, and nonverbal communication parents use when trying to move through a sticky moment with their child means everything. 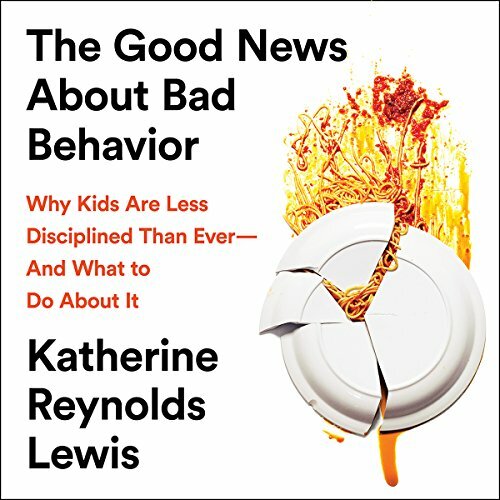 To stem this growing crisis of self-regulation, journalist and parenting expert Katherine Reynolds Lewis articulates what she calls The Apprenticeship Model, a new theory of discipline that centers on learning the art of self-control. 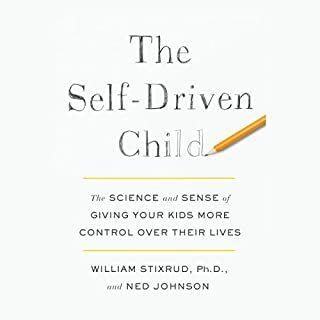 Blending new scientific research and powerful individual stories of change, Lewis shows that, if we trust our children to face consequences, they will learn to adapt and moderate their own behavior. She watches as chaotic homes become peaceful, bewildered teachers see progress, and her own family grows and evolves in light of these new ideas. 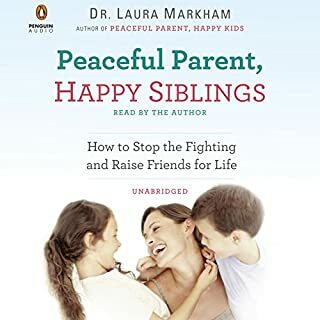 You'll recognize your own family in Lewis's sensitive, realistic stories, and you'll find a path to making everyone in your home more capable, kinder, and happier - including yourself. I was enthralled during the entire book! I can’t wait to put the info into action. 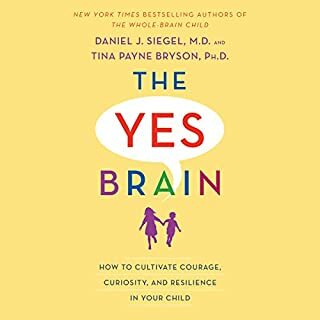 It has some good ideas (Children with more unstructured play time develop better executive ability, more unsupervised play time = better learning ability, expose children to things so they have less fobias later in life, praise undermines kids motivation and risk-taking, rewards erode the child’s interest in the activity, when child gets angry, don’t gat mad, get curious, get them to work in household asap, don’t punish, explain and let them experience pre-agreed consequences, don’t shame them, don’t rescue them from their mistakes, allow children to choose but show them that you also have a choice based on what they choose ) which are lost in the volume of this book. It’s 10 hours and 15 min and it should have been about 1 hour and 15 min. Most of the dialogue can go, also I don’t need to know what everyone is wearing for dinner. 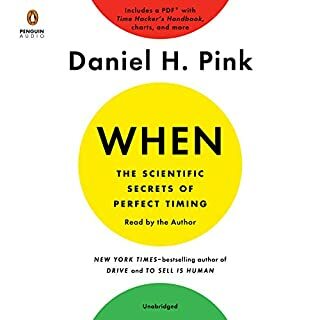 I have a feeling that publishers insist and encourage authors to write more just like most colleges do and really it should be the other way around. Get to the point, edit, edit, edit, my time is valuable. Wonderful book and reading performance by Katherine Reynolds Lewis! Katherine Reynolds Lewis has written and read an absolute masterwork here. It’s very entertaining, too. 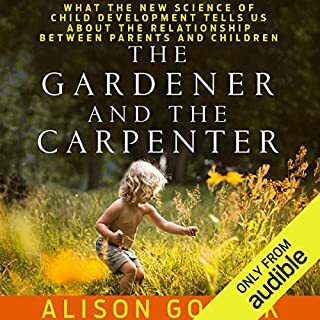 If you listen to only one book on the topic and are interested in developing loving and respectful relationships with your children (and who isn’t? ), this is the book for you. It is extremely helpful on a practical basis, while also explaining the latest research on the topic. 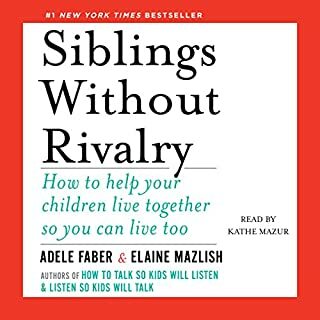 You owe it to yourself and your family to listen to this book! 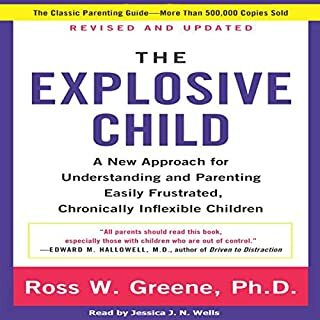 the apprenticeship model described is a brilliant bridge between a group of philosophically similar parenting techniques. the reading could benefit from having more pronounced chapter demarcations. I'm looking forward to doing deeper with the cited references. Only disliked modeling chapter, love it. Don't belive in yoga and mediation for self discory, but otherwise great. Loved it alot. Great book to give you tools for challenging behaviors. 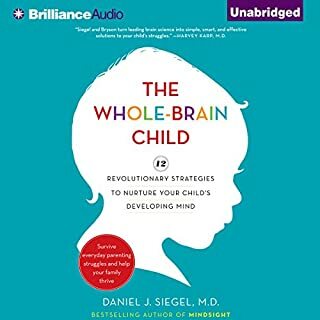 Looking forward to learning more and im glad i found this resource.